Germany international Per Mertesacker played only one full match for Premier League side Arsenal and still ended the season lifting a trophy in the mould of the oldest of them you had find in England – the FA Cup. In a season the Gunners truly had a lot going for them as early as the 11th match day fixture where they thumped three unreplied goals into Thibaut Courtois’ net as they handed Antonio Conte one of his heaviest defeat as a coach. Ironically, that prompted the Italian to reshap the Blues into a 3-5-2 formation that served him throughout his time in charge of Juventus and to a lesser extent the Azzuri national side of the wine-loving nation of Italy. That tweak will later propel Chelsea to eleven straightpremier league wins and in the process ensure they opened up a gap that the rest of the league struggled to close down till the final match day with Totttenham Hotspur coming closest but still ending up 7 points below the top spot. Bundesliga leaders Bayern Munich slipped as they played a 2-2 draw against Mainz at home. They were lucky to come back from behind to get the result against their lowly opponents. They are still the likely winners of the league but the gap is now nine points ahead of RB Leipzig’s clash with Schalke. BojanKrkic, who is on loan from the Premier League, opened scoring as early as the second minute. Daniel Brosinski scored a penalty before halftime but goals from ArjenRobeen and ThiagoAlcantararestored parity, leaving both sides to share the spoils. The result follows after their loss to Real Madrid in the Champions League quarter final. Injuries stopped the team from presenting a full squad, then errors and dismissals forced their defeat to Madrid. They remain in pole position to retain the Bundesliga though. Bayern fans are very excited at the prospects of new signing ahead of the coming season, where they hope to retain the Bundesliga and make an impact in Europe. Bayern beat a host of other clubs to sign Renato Sanches from Benfica. Bayern snapped up the player last month while other clubs were still weighing their bid for the player. The Guardian reported that the Red Devils were also interested in the player before the German champions completed the deal in one swoop. The Portuguese champions had placed a release clause of €35 million which Bayern met. However, the stunning thing is that the player is just 18 years old. Former Bayern Munich president UliHoeness has stated that Pep Guardiola has turned the Bayern Munich team into a global player. Hoeness was the president when Guardiola signed for the club. He said that the Spanish manager has helped the German team become an international brand and has been a success during his 3 years at the club. Guardiola will be leaving the club in the summer after having signed with Manchester City. 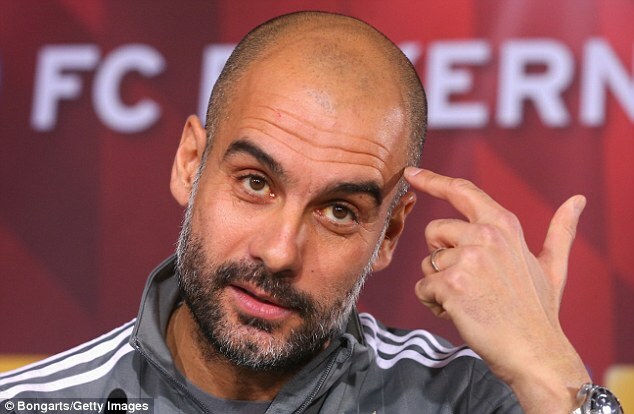 During his time at Bayern Munich, Guardiola has won the Bundesliga 4 times and won the Cup twice. His latest trophy came on Saturday when they beat Borussia Dortmund on penalty shootout. The only negative point on his Bayern Munich’s career is the fact that he could not win the Champions League with them. For three years consecutively, Bayern Munich has been eliminated at the semi-final stage. Bayern Munich’s director of sports Mathias Sammer has warned his players that they cannot relax in Portugal. He believes that a 1-0 advantage is not enough in the Champions League and that they will need to be on the guard against a Benfica team that can be dangerous at home. Things started well for Bayern Munich in the first leg when they opened the scoring just after 2 minutes thanks to a goal from Arturo Vidal, but Benfica came back into the game. The Portuguese club played well in defence to restrict Bayern Munich to some long-range effort. Bayern’s defender Martinez was keen to recognize that Benfica has a strong defence that plays a high pressing game making it difficult for them to build attacks. He believes that the Portuguese team is well-organised and that it will take something special to beat them. Pep Guardiola has defended his decision to leave out Mario Gotze from the game against Cologne last weekend. Bayern Munich could only manage a narrow 1-0 win in this away match, but it was all about three points for the reigning champions. There has been nervousness amongst Bayern Munich supporters in recent weeks due to Borussia Dortmund showing impeccable form. The arch rivals had closed the gap on Bayern Munich in recent weeks. However, Guardiola’s team have managed to extend the advantage back to 5 points following this victory. Manuel Neuer will not stand between the sticks for Bayern Munich in their next game in Europe. It’s Sven Ulreich who would probably discharge the goalkeeping duties when the Bundesliga Champions take on Dinamo Zagreb in a dead rubber. Neuer, who is the best in the game at the moment as far as goalkeeping is concerned, has had a hectic last few months as he has appeared in all the league as well as European games that Munich has played in the ongoing season. He had to be given a breather at some point of time and there could not have been a better opportunity than this for the Munich management to do that as they are in the playoffs already and there is nothing at stake for them in the Wednesday’s game. And, due to the game not carrying too much of value, Pep Guardiola, the head coach, would perhaps not like risking Thiago Alcantara either. Alcantara is coming back off a knee injury and although, he has been named in the touring party, Guardiola might leave him warming the bench only, considering how vital a role he has to play for the team going ahead in the season. Alcantara has not been one of fittest players around in the circuit in the recent years. It was because of the injury that he could appear in only 13 games for Munich the previous season. He had to watch FIFA World Cup from the sidelines as well. So, somebody who is so injury prone, to put him on the pitch prematurely would certainly not be a wise thing to do. Munich’s next game after this Dinamo fixture would be against Ingolstadt 04 in the weekend. It would be a Bundesliga game.